Used to train thousands of Navy pilots during World War II, the N2S series - the Navy version of the PT-17 Stearman - became a common civilian crop-duster and recreation plane. The PT-17 Stearman dates back to the 1930s, when the Stearman Company developed its X-70 prototype. The X-70 would go on to form the basis of the PT-13, PT-15, PT-18 and PT-27 trainers. 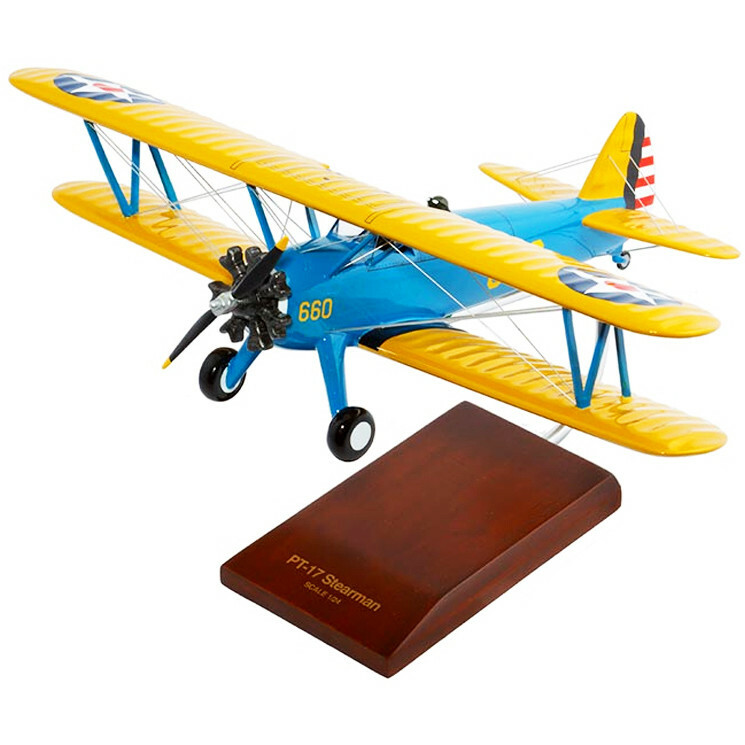 Boeing, which bought the Stearman Company in 1934, would go on to produce almost 10,000 examples of this rugged aircraft. As the PT-17, the Stearman was known as the Kaydet in export versions. It was powered by a Continental R-670 engine of 220 horsepower. The navy version, the N2S, became known as the "Yellow Peril" because of its overall bright yellow paint.